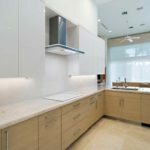 Sitemap - Schrapper's Fine Cabinetry, Inc.Sitemap - Schrapper's Fine Cabinetry, Inc.
How Do I Select a Kitchen Cabinet Supplier? What is the best wood for kitchen cabinets? How do I make a Small Kitchen More Functional? Bathrooms Bare All – The Clutter-Free Way to Do It! Get Your Grill On – National Barbeque Month Recipes! Is Your Bathroom Begging for Change? Interior Design: Springing into Action! Bed, Bath and Beyond: Master En Suite Perfection! Five Fine Cabinetry “Need-To-Know” Tips! Open Kitchens: Room to Breathe! Bathrooms Go Fifty Shades of Gray! 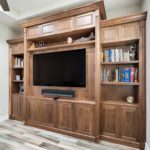 5 Entertainment Center Ideas We Love! 3 Ways to Bring Your Bathroom Back to Life! Fine Cabinetry’s Long Shelf Life: Your Budget Can Buy Time! Welcome to Ana Maria Bernal, Schrapper’s Newest Kitchen Design Team Member! Clothes the Door, I’m Changing! Kitchens: The Busiest Place in the House! From Kitchens to Baths: It’s National Home Furnishings Month! Kitchen Drawers Have Their Day! Shower Stall or Bathtub: Where Do You Stand (or Sit)? April Is National Decorating Month: Five Fantabulous Ideas! What Are June Holidays Trying to Tell Us? 7 Beyond Basic Bathroom Ideas! How Would You Describe Your Dream Kitchen? 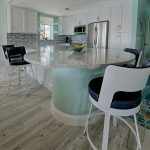 Schrapper’s Fine Cabinetry in the News! Closet Cabinetry: Open the Door to Stunning! Let Us Entertain You – West Palm Beach Style! Garage: Another Name for Man Cave! 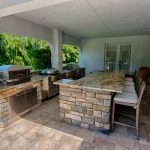 Kitchen Castaway: An Island Paradise! Kitchens’ Dirty Secrets: Mudrooms Are Cleaning Up Their Acts! 26 Trends Unite with the Tried and True: From A to Z! Want to be Green? Try Blue Recycled Countertops!